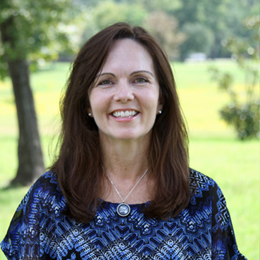 Dana Newman brings a lifelong passion for teaching children to ORBC’s Children’s Ministry. While working in the corporate world, she taught Sunday school for 17 years. She knows God has placed her in this ministry to reach children and provide support to families while showing them the love of Christ. Her primary goal is to help children and their parents understand what it means to have a personal relationship with Jesus. She encourages them to not just come to church once a week, but to fully commit to follow Jesus every day. ORBC’s Children’s Ministry offers Awanas, Kidz Choir, Mother’s Day Out, and Kid’s Beach Club. We provide a loving environment for parents to leave their children while they attend a worship service or Adult Bible Fellowship meeting. God’s Word is taught in a fun and exciting way, custom tailored for specific age groups. The ministry is focused on reaching children at an early age in order to establish a strong foundation on Jesus. They are also encouraged as they grow in their relationship with Him. She worked for almost 20 years in the Training Department at Continental Airlines and feels God used her time there to equip her to work with people of various backgrounds and help lead them to achieve their fullest potential.